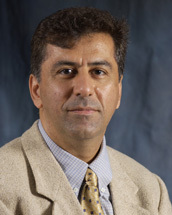 Nejat Seyhun is a Professor of Finance and Jerome B. and Eilene M. York Professor of Business Administration at the University of Michigan’s Stephen M. Ross School of Business. He is also the Director of the Financial Engineering program at the University of Michigan. Professor Seyhun has taught at the University of Chicago, Koc University (Istanbul, Turkey), and WHU (Koblenz, Germany). Professor Seyhun has published extensively in leading finance and economics journals, such as Journal of Finance, Journal of Financial Economics, Journal of Business, Review of Financial Studies, and Journal of Financial and Quantitative Analysis. He has studied insider trading extensively and authored a book, Investment Intelligence from Insider Trading, that analyzes the investment implications of insider trading activities. Professor Seyhun also serves as a referee for numerous finance and business journals, and is a member of the American Finance Association, the Society for Financial Studies, the Western Finance Association, and the European Finance Association. His academic and research interests include such topics as informational asymmetries, financial trading, commercial and investment banking, corporate finance, and risk-management issues. In addition to his academic activities Professor Seyhun provides consulting services to corporations and law firms nationwide. He has conducted executive education programs on various topics in corporate finance around the globe. His consulting engagements have included the design of investment and risk management strategies for banks and mutual funds, the analysis of executive stock-option backdating, and the examination of collusion and anti-trust issues. He has been retained as an expert by leading law firms, and has submitted expert reports and provided testimony on topics including, but not limited to, market efficiency, loss-causation, plans of allocation for damages, and insider trading.